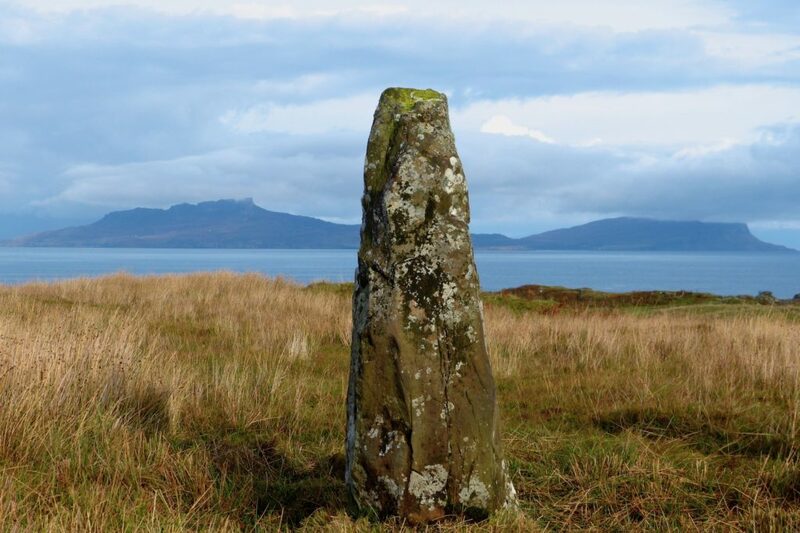 Ardnamurchan is exceptionally rich in archaeological remains. There are no less than eighteen scheduled monuments, nationally protected sites, varying from Neolithic cairns some 6,000 years old through to Bronze Age standing stones, Iron Age coastal forts, a 12th century church, a 13th century castle (Mingary) and a 19th century cleared village. With the exception of Mingary Castle, all are accessible to the public, and AHHA has published guides to some of them. In addition, AHHA has identified and described over a hundred smaller sites. These include Bronze Age hut circles, kerb cairns, isolated farmsteads, shieling settlements once used for summer pastures, 18th century whisky stills and 19th century cottars’ cottages, all of which have been reported and recorded on national databases. The process of finding and recording more of these sites continues.